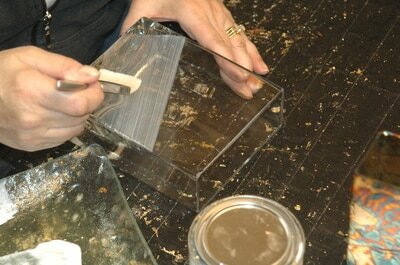 First, the glass is cleaned, polished and checked for imperfections. Next, an adhesive sizing is brushed onto the glass in one of seven unique patterns. 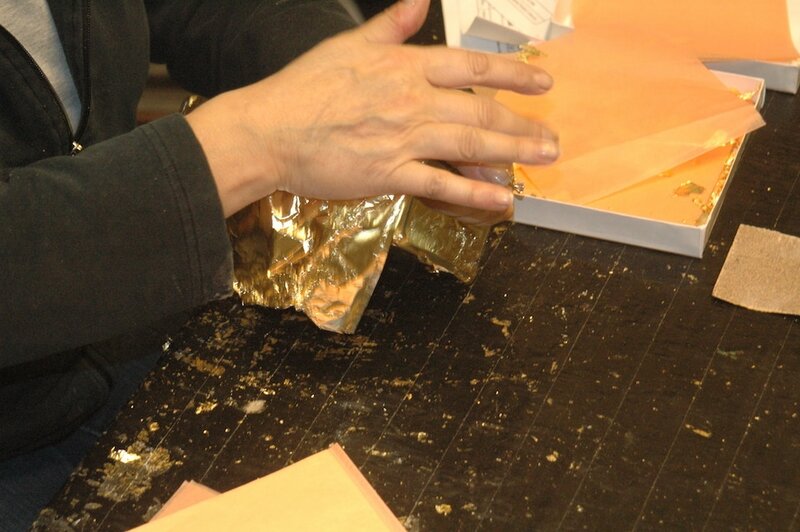 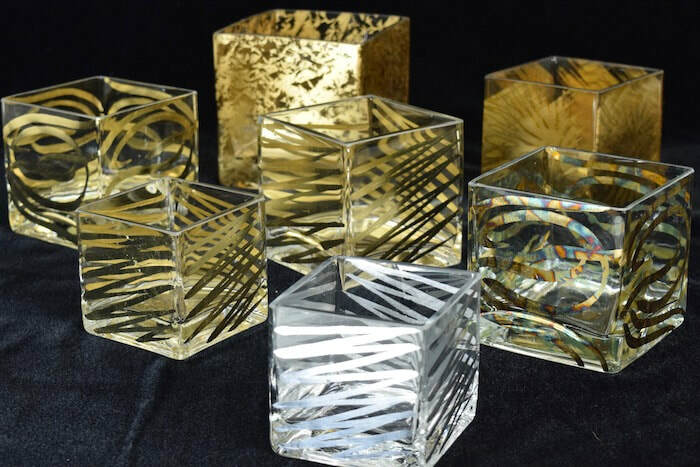 Then, tissue-thin sheets of metal leaf, selected from a variety of solid or variegated colored alloys, are laid onto the sized areas. 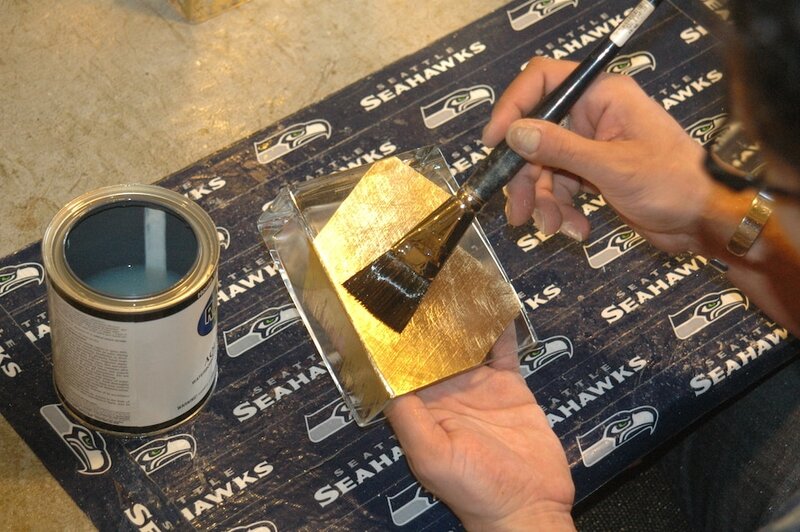 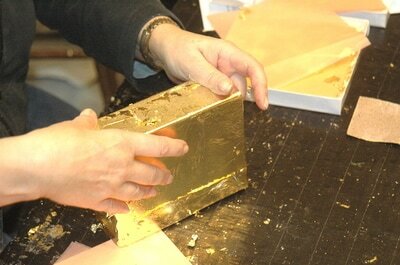 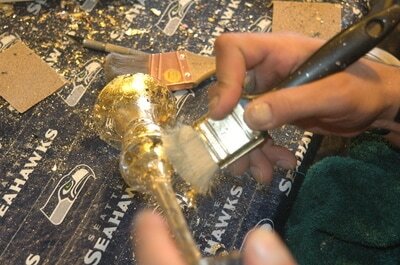 The leaf is then carefully buffed and polished, revealing the pattern. Lastly, a water based varnish is applied to seal the surface and protect from wear and tarnish. 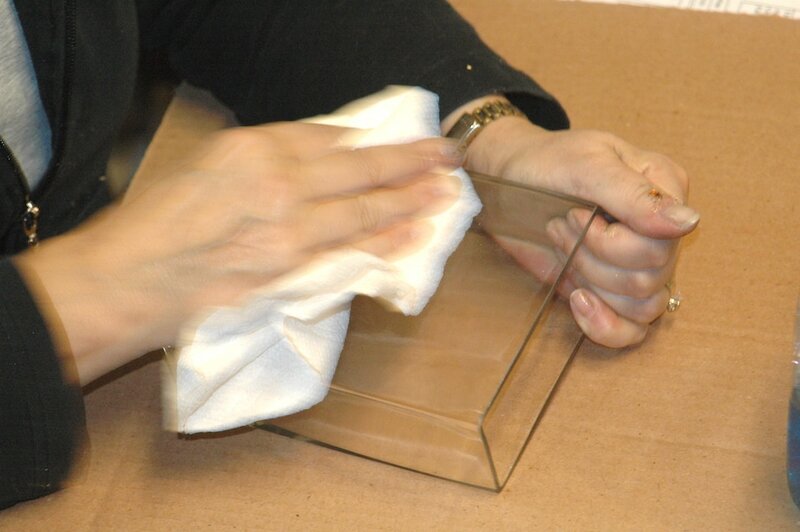 After a final inspection, the glass is carefully packed for shipping—across the continent or across the globe —to shine on the shelves of the finest gift stores or grace the table of a Saudi Princess.